Linda Gilford, a psychologist who works with children in Sydney’s northern beaches, says that while it is normal for children to occasionally become bored with one another, time spent with siblings is an important part of building family relationships and teaching kids to co-operate, respect and compromise with others. Brothers and sisters can be great friends and playmates, but by the second half of the school holidays, even the closest of sibling relationships can become strained. ‘Many parents spend a lot of holiday time and money rushing from one activity to the next trying to keep their children amused,’ Linda said. Linda suggests that keeping kids happy and occupied during the holidays requires creativity and planning. ‘Children aged between 5 and 12 are used to the structure of their school day and sometimes the lack of routine during the school holidays can unsettle them,’ she said. She recommends that each day should contain a combination of indoor and outdoor activities so that children have a healthy mix of active and quiet play. “In warm weather, kids need to swim, jump and run around, but a full day in the hot sun can result in tired children who fight and squabble,’ she said. In colder weather, Linda suggests that kids should rug up and play outside if the day is fine. Linda said that children’s bodies need, and are used to, physical activity. Drawing with chalk on the driveway and using buckets of water and old paintbrushes to ‘paint’ the garden fence are other creative and inexpensive suggestions for keeping children happy and engaged. ‘Cubby houses are also a perennial favourite and are great for imaginative play,’ commented Linda. Playing with cars, dolls, dress ups, board games and construction toys like Lego are also popular pastimes, as are visits to grandparents or another special friend. Linda said that the internet is a great source of inspiration for innovative indoor play ideas. Linda suggests that movie marathons with popcorn are a relaxing way to spend an afternoon and are particularly useful when kids are tired and need a break during the school holidays. Her practical tips for parents also include organising play dates with friends, neighbours and cousins. She recommends inviting a visitor for each child in the family so that brothers and sisters each have someone special to play with and will be less inclined to intrude on their siblings’ play. Linda advises that shorter play dates can reduce the risk of sibling conflict and often help parents get through key points in the day when children are hungry, tired or bored. According to Linda, surviving the school holidays is simply a matter of getting the mix right. ‘Going to the movies, workshops and other outings are all great fun, but having the freedom to enjoy being at home is important for children,’ she said. 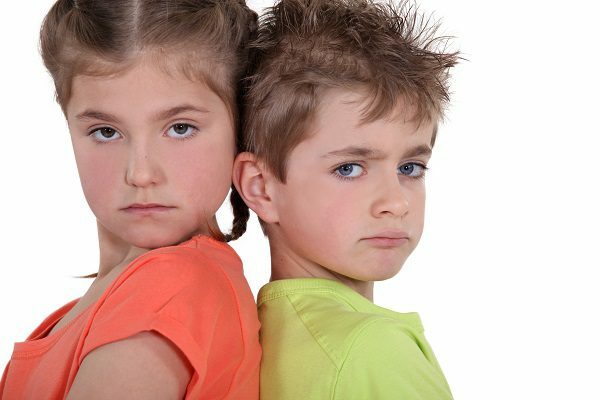 Need support to solve sibling rivalry? Kids First’ child psychologists have helped hundreds of northern beaches families to build better relationships.